You want your window to stand out, but not too much that it looks out of place. When you’re choosing windows, make sure the design matches the overall architectural style of your home. Sliding windows, for example, generally look better on contemporary and modern-style houses than traditional ones. 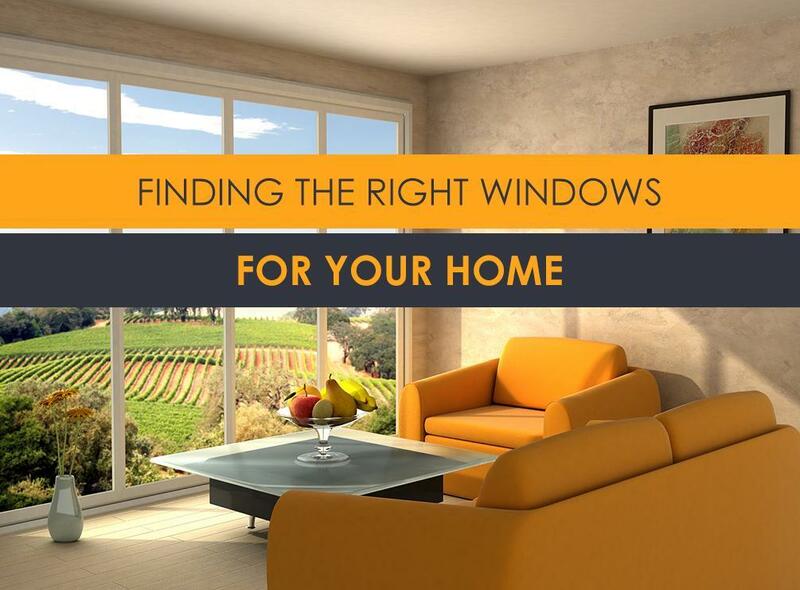 Apart from having the perfect design, your replacement windows should also have the right energy performance ratings to maximize indoor comfort and reduce energy costs. Always look for U-factor values, which measure the ability of the window to keep heat in, and Solar Heat Gain Coefficient (SHGC), which evaluates the ability of the window to block outdoor heat. The lower their values, the more energy-efficient they are. To daylight your living spaces, we recommend bigger windows. The actual benefits of larger windows are two-fold. First, admitting more light improves the overall atmosphere of your room and makes it look bigger. Second, ample exposure to sunlight helps improve mood. Expansive floor-to-ceiling windows also extend your living spaces outside, making it a welcome design perk for any home. Your choice of material will largely depend on your budget and tolerance for maintenance. Vinyl and fiberglass are the easiest to maintain because they can withstand virtually all manner of climate and solar extremes. They also have excellent insulating features to add to your home’s energy efficiency. Rely on Krier’s Construction to help you plan your project. We have extensive skills, knowledge, and experience for the best solution for your home’s unique requirements. Apart from window replacement, we also specialize in bathroom remodeling and room additions. Call us at (920) 328-0747. We serve Appleton, Fond Du Lac, Neenah, and nearby areas in WI.